I often get asked by my foreign contacts, or even fellow Australians, what the blockchain landscape is like in Australia. So, I thought I would prepare a list of Australian blockchain companies that has issued a token or coin, or is using blockchain directly in their business model. This gives the list some exclusivity, as it champions those actively integrating blockchain technology. This blog will be continuously updated as more start-ups join the ecosystem, and when I get time to update it. In no particular order, here is a list of aspiring blockchain start-ups with a bit of information and background on each. I hope you enjoy. Bamboo is a mobile app for simplifying investment. 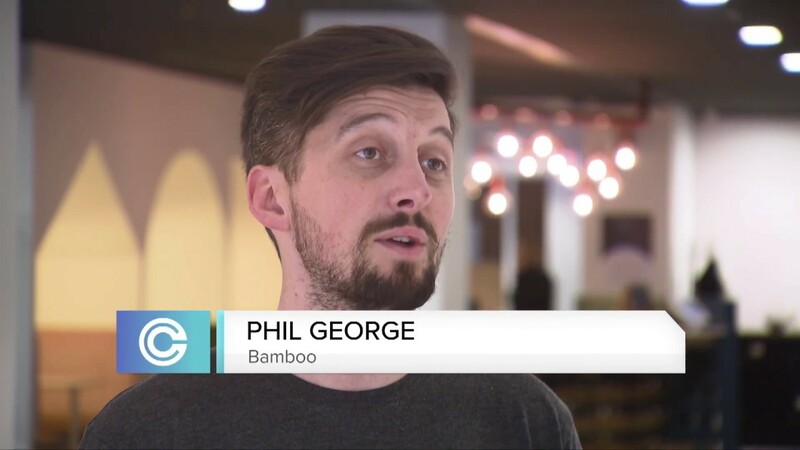 Focusing specifically on ‘micro-investment‘, Bamboo helps the user make small and consistent deposits by rounding up daily transactions. These deposits are then invested into baskets of cryptocurrencies. The value proposition is a simple, lightweight, and easy way for people to gain access to crypto. The coin associated with Bamboo is called ‘BAM’, and is required to access services within the app. The coin has several use-cases, but primarily is a unit of account. So things like fees are deducted using the BAM coin, rather than fiat currency. The coin is an Ethereum-based ERC20 contract, and so it can be used in Ethereum compatible wallets. At the time of writing the app has just finished closed-beta testing. You can gain early access and follow the teams progress by visiting their website. 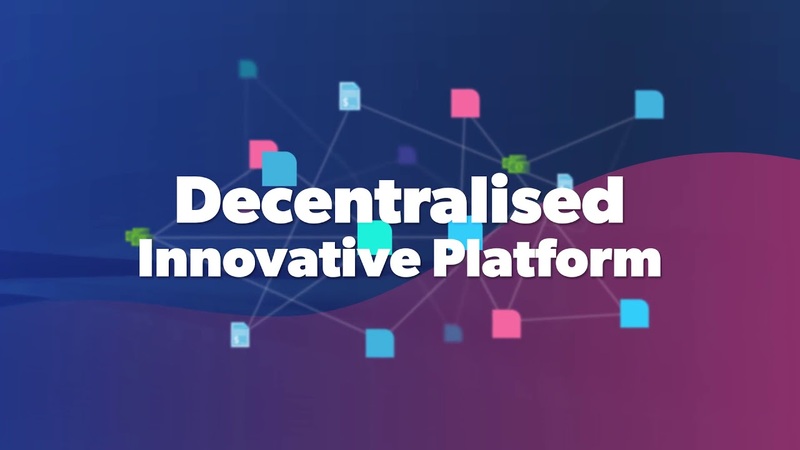 Invox is a decentralized finance platform designed to connect sellers, buyers and investors in one location. Its all based around something called ‘Invoice Financing‘, which is when an investor buys invoices from a seller. Essentially giving the seller money upfront to conduct business. The investor then collects the money owed on invoices, from the seller. The service Invox is building will connect all parties (seller,financier,buyer) on one incentivised platform. Fees will be lower, trust will be improved, and transparency will be added. These factors are aimed at lowering risk for all parties conducting business on the platform. A token has been created called ‘INVOX’, and was sold in an ICO to raise funds for development. 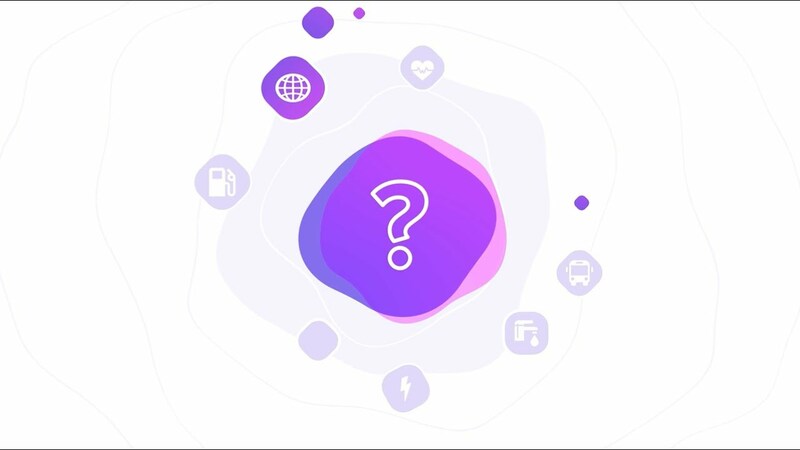 The tokens use-case is for access to the Invox platform, to reward buyers for verification, and to reward buyers and sellers upon invoice payment. At the time of writing, the web and mobile apps look to be coming along well. You can visit the website if you want to learn more. Formally ‘BlockGrain’, AgriChain is a turn-key software solution for agricultural supply chains. The software package uses a combination of web and mobile apps, and is designed to provide a level of automation and transparency to the supply chain. Blockchain is used in the back-end of the software suite to ensure a transparent and immutable ledger for the movement of product. The platform has been designed to work with virtually any product, and can be used by brokers, growers, and logistics companies. Features such as stock volumes, contracts, chain of responsibility, are some features available on the platform. The mission of AgriChain is to improve time to market, reduce supply chain costs, and improve efficiencies. AGRI Token is the cryptocurrency that was created to both fund the project, and to be used within the applications. Its use-case is as an access token to the software, and to pay for transactions fees. The token is also collected as a form of revenue by the company. It is an Ethereum based ERC20 token. You can visit the AgriChain website to learn more about the project and follow their progress. Equal is a decentralised Ethereum wallet, designed with supporting mass adoption by combining investment and utility. We have written about Equal before as we saw high quality work coming from the team. The wallet itself is being developed as a web3 portal that integrates decentralized applications and decentralized exchanges. The team believes that by building a portal like this, its going to support the industry transitioning from being investor focused, to being user focused. The wallet is likened to something similar to Metamask, but with additional features. Its both a wallet and a DApp store. The design is intended for users to be financially ready to interact with Ethereum based decentralised applications and exchanges as more start to come online. EQL is the Ethereum token native to the platform, but unlike many other projects, was not distributed in an ICO. The team instead opted to airdrop the token under the premise of being judged for their performance by the free market. Its use-case within the app is for purchasing and unlocking features. Furthermore, the coin itself has additional features such as ‘Deflation Through Burn’ and ‘Incentive For Stake’. The wallets development is currently in closed beta phase. If you want to learn more, check out their website. Liven Pay is the next iteration from Liven, an existing restaurant discovery app with a few hundred thousand users. The app lets users discover popular places to eat and rewards diners with a rewards currency. This in-app currency could then used for future discounted meals. The Liven Pay iteration is transforming the in-app currency to a cryptocurrency called LVN. Additionally, Liven Pay comes with an API that allows the stack to scale and for third party users to integrate LVN into their own applications. Currently in the ICO phase, the development of Liven Pay is underway and users are being migrated to the new app. The reward protocol is set for deployment in 2019 before the team starts to expand globally. Having used the app myself, I can say it is very sleek. For full disclosure, I have helped the team in a paid advisory capacity as part of my work with Masternode Ventures. I may be biased because of this, but I can say its one of the more exciting and ambitious projects coming out of Australia in 2018/2019. You can learn more by visiting Liven Pay’s official website. E-sports gaming and betting meets cryptocurrency, Skrilla is a licenced, global e-sports daily fantasy platform that was launched out of Australia in late 2017, with the intention to transform the esports landscape by integrating a crypto token into the platform. Based out of Brisbane and founded by Damon Oudejans and Nick Heaney, Skrilla has foundations in two technology companies, Punter and Gamurs. Punter was the first platform to be licensed as a peer-to-peer social betting platform, and Gamurs is a e-sports media company. Skrilla conducted a token sale in November 2017, and managed to raise 1,641 Ethereum, which was equivalent to around $765K in Australian dollars. Since the token sale, Skrilla has been continuing to develop and refine its platform, having now integrated the Skrilla token (SKR ticker), and onboarding gaming titles such as League of Legends and CS GO. In the latest developments, Skrilla have announced launching into Canadian markets with a Free-to-play tokenised contest, sitting alongside similar offerings in the United States. Other developments include token listings on exchanges, and the rollout of a marketing campaign. Personally, I think blockchain gaming and e sports will be a major catalyst for adoption in the near future. I wrote about it recently in my blog ‘Why blockchain Games are key to mass adoption‘. If you want to follow Skrilla, check out their website. Chat bots interacting, exchanging data and building an open digital economy is what Hut34 are building. The team are doing this by creating infrastructure that will provide a crypto powered economic incentive for data to be shared and exchanged between chat bots. 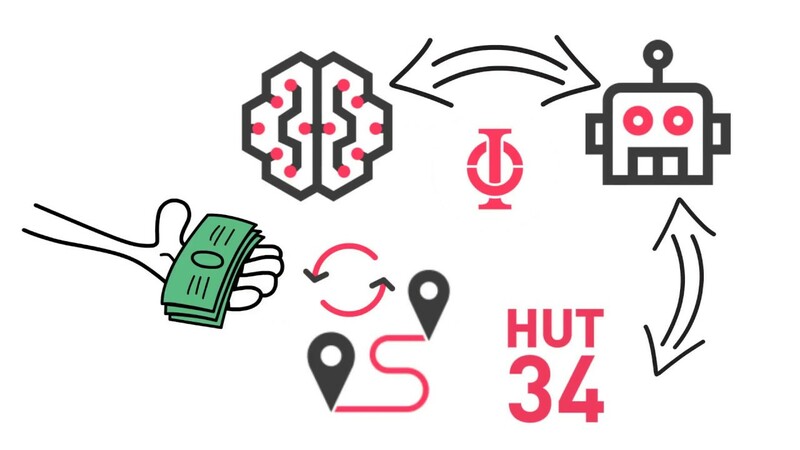 Based out of Sydney and founded by Tim McNamara, the concepts for Hut34 bring together several key areas such as Artificial Intelligence, Chat Bots, Natural Language Processing, IOT, Web3.0, Blockchain and more. Hut34 conducted their token sale in November 2017, and raised around $3.5 million to fund the project. Since the completion of the token sale, progress has been made around listing the native cryptocurrency token (ENTRP Ticker) on the 0x decentralised exchange, as they continue to develop the monetisation aspect of the Hut34 network. Other developments include progress on ‘HutX’, the underlying protocol for the data marketplace. Furthermore, a native Hut34 wallet has been developed that allows users to manage addresses via a Google login, with third parties (such as large corporations) being able to plug in their own systems. Learn more about Hut34 at the official website. Peer to peer trading of electricity, all facilitated and automated by a blockchain. 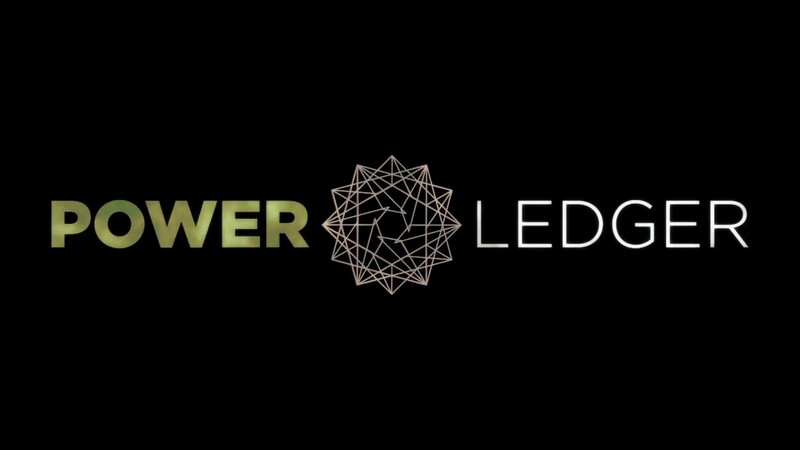 This is Power Ledger, the project aiming to decentralise domestic energy generation and consumption by using blockchain and distributed ledger technology. Based out of Perth, the founders of Power Ledger are Dr. Jemma Green, David Martin, John Bulich, Dr. Govert Van Ek and Jenni Conroy. The project foundations come from Ledger Assets, a Perth based blockchain company founded in 2015. Power Ledger to date has held Australia’s most successful ICO, raising $34 million in late 2017. Since the completion of the ICO, Power Ledger has made a number of achievements, including a trial partnership with Origin Energy, and a project partnership with the City of Fremantle. Check out my review for more information, or follow further developments with Power Ledger at their website. Combine virtual reality, augmented reality, a white label development platform plus futuristic advertising, and you have Gaze Coin. 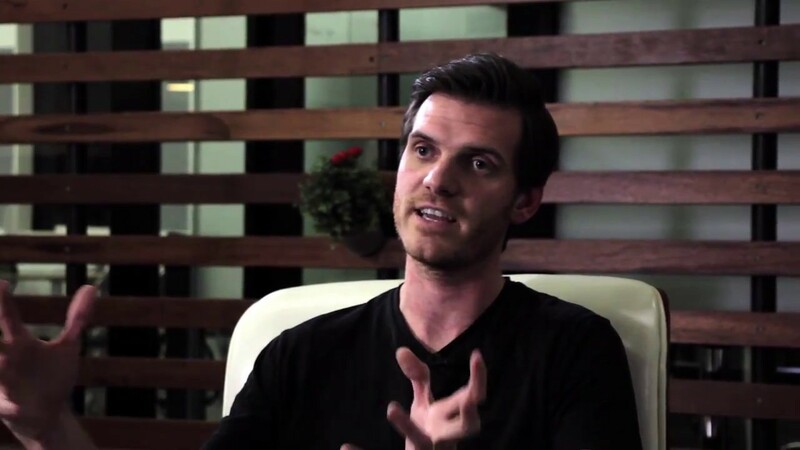 Launching out of Melbourne, Gaze Coin was founded by Jonny Peters, an award-winning mixed-reality producer and director. The team also boasts names such as Bok Khoo, who is known as ‘BokkyPooBah’ a renown Ethereum developer, in addition to two team members of OmiseGo. The concept behind Gaze Coin is a blockchain platform that tracks the players eyes, called ‘Gaze’. This creates a microtransaction that charges the advertiser, pays the content owner of the virtual world, and rewards players. All transactions are completed using the native Gaze Coin token. Brands and creators can also mint their own in-platform tokens. Having successfully completed their ICO in December 2017, the team have managed to work through an issue with their token contract. Based on information on the website, they are continueing to work on platform development. In addition to implementing other features, there are mentions of an MOU signed with a significant artist. Other upcoming developments include the Gaze API & wallet. You can learn more about Gaze Coin and the project at their website. Think online services platform meets blockchain and cryptocurrency. This is CanYa, an Aussie company based out of Melbourne that is building a platform for a P2P marketplace. Founded by John-Paul Thorbjornsen, Rowan Willson, Chris McLoughlin and Kyle Hornberg, CanYa’s beginnings go as far back as 2015. Its core principle was to reduce third party intermediaries, promote meritocracy, and to use design to blend technology and user experience. CanYa’s ICO was conducted in December 2017, proving highly successful after raising $12 million AUD. This was Australia’s second most successful ICO to date. Following the closure of the ICO, the team behind CanYa are working hard on developments. This included integrating the cryptocurrency portal in the Bounty Source platform, eventually allowing the CanYa (CAN ticker) token to be an available payment option. Furthermore, the team have built out a suite of ‘CanApps’, which support the CanYa ecosystem. Follow CanYa’s progress and achievements at their website. Wondered how cryptocurrency can ever be used as an actual currency due to its wild volatility? Synthetix (formally Havven) has developed a dual token system. One token is a ‘stable coin’ pegged to the price of its asset. The other token, called ‘Synths’, are used as the collateral to back the value of the stable coins. There is currently 6 stablecoins planned. There is sUSD which is live, with sEUR, sJPY, sAUD, sKRW and sXAU coming soon. Founded by Kain Warwick, Synthetix comes as his second blockchain venture with his first being blueshyft, which was founded in 2014. Blueshyft is a platform that provides over the counter bitcoin and cryptocurrency purchases, and is used by 1200 retailers around Australia. Havven concluded their ICO in February 2018, raising $30 million USD and hitting their hard cap just days into the token sale. The concept behind Havven having a dual token model, with the commodity token being used as collateral and then receiving dividends in the form of transaction fees, is a unique value proposition in the blockchain space. Check out more of Synthetix at the official website. One of the key value drivers for blockchain technology is governance, immutability, and transparency through a distributed ledger. Horizon State exploits this feature by designing a working platform that facilitates voting and decision making using a tokenised secure digital ballot box. Horizon State was Founded by Jamie Skella, Nimo Naamani, Dan Crane, Jason Theron and Daniel Vertes. The team have experience in a variety of areas across technology, governance, finance and distributed systems. Horizon State concluded their ICO in October 2017 after raising $1.4 million AUD, with an already working blockchain voting platform called MiVote. This was a key value proposition for early investors. Since the completion of the ICO, Horizon State and MiVote have partnered with the UN Intergovernmental Organisation Be Earth Foundation, which is aimed at enhancing global standards for justice. Check out more information on Horizon State at their website. Privacy, anonymity, blockchain, directed acyclic graph technology, and hybrid both proof of work and proof of stake consensus. Oh, and add in quantum resistance and voting rights as a token holder. This is Hcash, and it’s a lot to get your head around. Hcash is a Melbourne based open-source and cross platform cryptocurrency with an executive team comprising of Dallas Brooks, Kahl Achkar and Andrew Wasylewicz. Hcash is partnered with Monash University, Kong Kong Polytechnic and SJTU for research and development. Launching its ICO in June 2017, Hcash managed to raise 21,000 bitcoin. With development continuing post-ICO, Hcash now has Release Candidate 1 (a public testnet) live and operational for public testing. Further developments to come include a release of the Lightning Network, and side DAG deployment. Check out more of Hcash at their website. Hi Beau, have you looked at Ivykoin yet, team based out of the US and Australia with the presale run through Perth. Would like to hear your take on the company. Hi Beau,nice article showcasing Aussie crypto talent.Its a shame that the Aussie exchange Coinspot only lists 3 out of the eight you profile,i dont know why? G’day Vince, thanks for the feedback. Listings on exchanges can be influenced by a number of factors, and its generally not clear cut. It normally costs to have tokens listed, in addition to demaraction of the token being a utility. There is also technical factors such as the protocol used for the token, and the smart contract of the token itself. Where is SecureVote? Aussie blockchain startup based in Sydney. Founded by the same guys that founded Flux.